A root canal procedure entails the removal of the infected or diseased pulp tissue, utilizing reamers and files to instrument the canal until it is away from all sorts of bacteria. It is afterward sterilized as well as hermetically filled or sealed with a compatible, biological filling material like Gutta-percha, which is a rubber like material generally pink in colour. It is essential to have non-vital teeth cured quicker, rather than later to avoid the infection from arriving at the surrounding bone tissue as well as causing added problems. Root canal therapy generally is performed in single appointment. However that said, as per the individual condition, a series of appointments may be essential to carry out the treatment. Because of the multiple variations in the root sizes, shapes and positions of the valuable teeth, not each of the teeth which require root canal therapy may be cured successfully by many dentists. A successful therapy of root canal is generally possible if all the canals are situated, reachable to instrumentation, sterilized, filled and hermetically sealed. 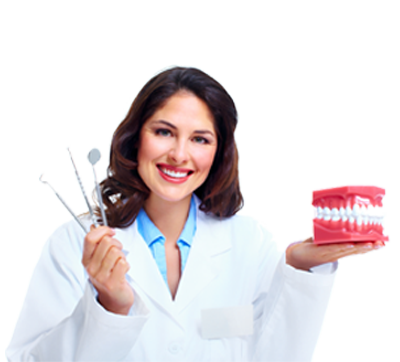 Our professional dentists are expert in performing it successfully. Root canal treatment for the most part is extremely successful. Many root canal procedures are carried readily and devoid of any consequence or pain. That said however, there are such situations where root canal therapy may be very un-desirable and painful. Although this takes place rarely, this is the state that most patients will keep in mind and tell everyone regarding the terrible root canal treatment experience they have encountered. However, most people converse regarding the uneventful or easy root canal therapies that takes place most of the time. When teeth need to perform root canal therapy, it’s significant to realize that the tooth in treatment will not be as muscular as it was before. This will become brittle and dried out. Therefore, making it much susceptible to fracturing, accordingly, most endodontically cured teeth, will need subsequent complete crown coverage for defence from breaking in the near future. There is no cause to be fearful or apprehensive of having root canal therapy. Most go painlessly and smoothly. Root canal treatment has a Chief role in the amazing Preventive dentistry world. Fees for this root canal therapy vary as per the number of roots entailed. The more roots as well as canals a tooth consist, the more it will charge to get it treated. While we charge the best in industry, you are not needed to get worried about it. Root canal therapy is one of the ranges of services we provide proficiently. By having assistance of our 24 hour services, you can make your teeth problem resolved anytime you want without any discomfort. Getting any treatment done with a very reasonable cost can also be achieved through Media Brite Smiles. We are known for reliable and highly required services performed in most modern way. So, don’t suffer from any kind of oral pain or problem and contact us now to get quality services.